I'm looking into replacing the titanium leaders that I currently use with flourocarbon high strength (150#), for cost (I'm going to buy a spool and tie my own) , visibility, and the sake of the fish. What worries me is the abrasion resistance, and the longevity of the leaders themselves. Does anyone have any experience with flouro leaders for musky and pike? Any recommendations as far as using swivels, or snaps? Up your Braid to 60 and go with 40 lb fluoro . 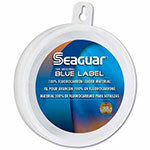 Seaguar is a bit expensive but considered the best. 40 lbs for musky and pike? I can understand upping my braid but wouldnt 40 lbs flouro have too small a diameter to be reliable against those jaws? Fwiw, I've rarely used leaders, and can count on one hand the # of pike/walleye I've lost because they cut the line. It happens maybe 1% of the time, if that. That's including all the times I was fishing C&K (catch and keep) with minnows, and the letting the pike take the bait very deep. If someone was frequently losing fish to cut line, I would be checking their connections, knots, swivels and split rings. I'm not saying you shouldn't use leaders, just offering some food for thought. It's not fun for the angler or the fish when it bites off a giant lure and swims away, so can't say I am against the use of leaders. Adding my 2 cents here. 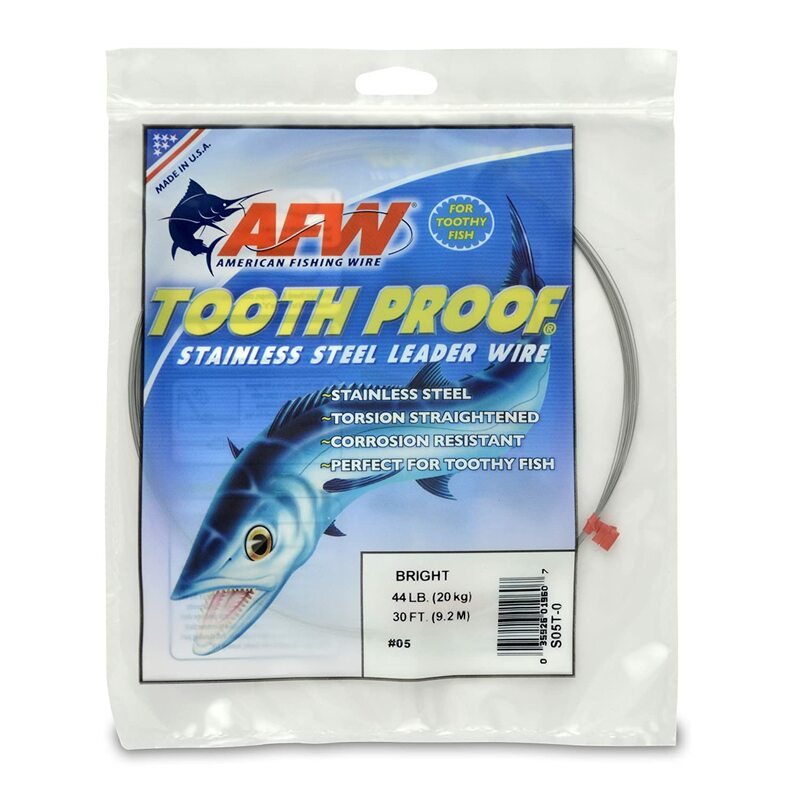 I have used the berkley double knot that has withstand toothy bites better than straight mono. then i tried the toothy knottable wire leaders made by cortland they use for fly fishing.but are expensive...then found this...$3 @ amazon. I've lost many pike on straight braid... use a flouro leader! Braid knicks up real easy and if you get a pike inhale a bait your going to lose it. I tie my own leaders using Seaguar Blue Label 30lb test, and SPRO swivels and clips....Never snapped a pike or musky off with this set up. I usually tie my leaders anywhere from 12" to 18" and use the palomar knot to tie the line to the swivels and snaps. It's tough to get that knot tight using 30lb flouro so you may need to wet the line and grab the tag end with pliers to get those knots tight to the swivels. For pike I run 50lb flouro and musky 80+, They arent scared of the big line so why risk it. I used 60 Lbs on my main and 80 Lbs Fluro from Seaguar for Musky and pike with swivel bearing and snap swivel. That set up so far never put me down by loosing my lure. Depends on the lake you're fishing (water clarity), time of year and how you're fishing. I love fluro, sure you have to replace the leaders every once in a while but it's much better than having a big piece of steel attached to your baits! 15lb wire leader on a multi-jointed lure is a good combo. 7 strand wire leader about 6inch is all you need. just don't horse it. I caught 30lb musky on them no problem. If you can get them to bite on black heavy leaders...titanium leaders will do just fine. Musky and pike don't care about the line. It's how you play your lure. However toothy fish are toothy fish ! (I do not recommend the uni to uni knot for flouro or mono leaders) only for adding braid to braid. The knot continually clicking through cheap guides will be eventually break them !!! I've seen it happen more than enough. EG: Any single rod (not including reel) worth less than $200ca has cheap guides. Now you need wrapping thread, epoxy, clear coat, etc, Or somebody to build it for you. I use 6', 40# to 60# flouro straight to lure. Or, 6", 15# to 20# titanium With a 6', 20lb mono shock line. Live bait I'll use 20' 15lb mono (because mono floats) to 18" 12lb titanium, (Allbright Knot). Use a "Figure 8 Knot" to tie hook to wire. With a 10', 60lb shock line. "Downsize for live Pike bait"
For musky lures minumum 10' 60lb mono shock line, add 6' flours to a 6" titanium leader with Allbright Knot ahead of a ball bearing snap swival. I like to use a 80lb ball bearing Swival with a 100lb Stainless steel split ring instead of a snap swival, (split ring won't open in a fight). Mono vs Flouro & braid colour. Mono is very visible to fish. Mono cuts easily, not abrasive resistant. Flouro is near invisible to fish. So much said for Berkly white invisabraid. You could also try a 60lb twisted leader. Anything from 80lb to 150lb flouro or braided wire. I can help you with these knots & how to make a twisted leader.